Plus they’re packed with learning, too. 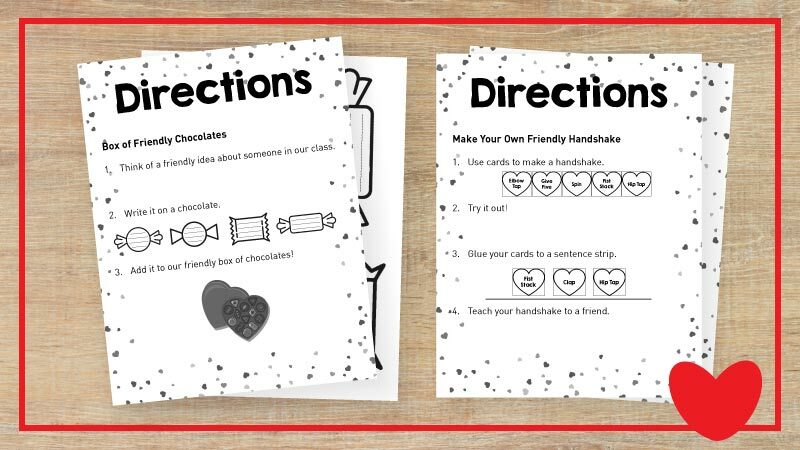 This activity encourages students to write compliments about one another on cute, candy-shaped cutouts. Post the compliments in a giant candy box to display! In this activity, students practice sequencing and communication by designing their own friendly handshake. For this activity, students interview a classmate to find out what kind of “love bug” they would like. Then, they make the love bug using the included cutouts—plus their own creativity. 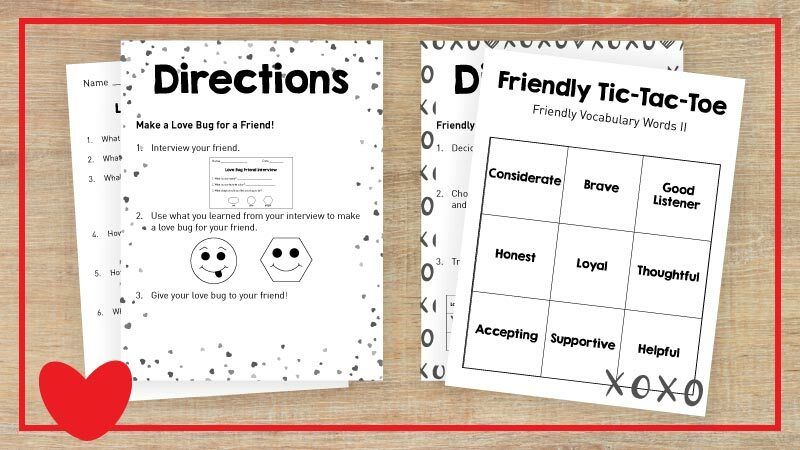 Practice friendship-related vocabulary and spelling words with this friendly game of tic-tac-toe! For this activity, students pour out a cup of counters and practice making number sentences with them. 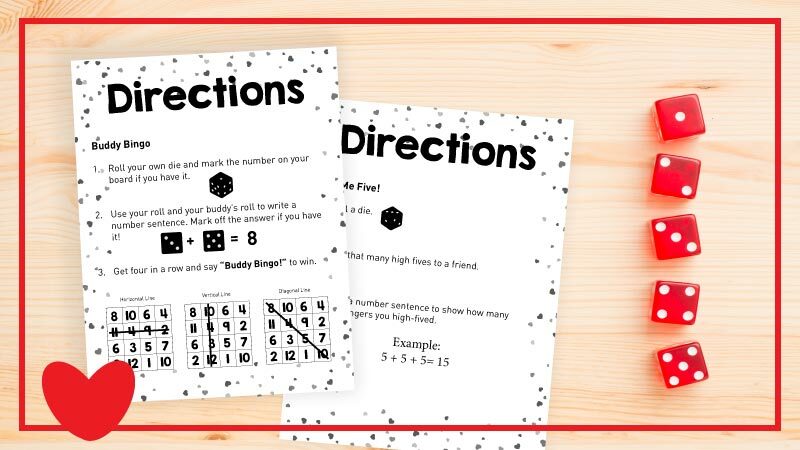 In this twist on the classic game, students work with a friend to roll dice, create number sentences, and cross out the answer on their Bingo boards. Invite students to roll a die, give that many high fives to a friend, and then work to find out how many fingers they gave total. 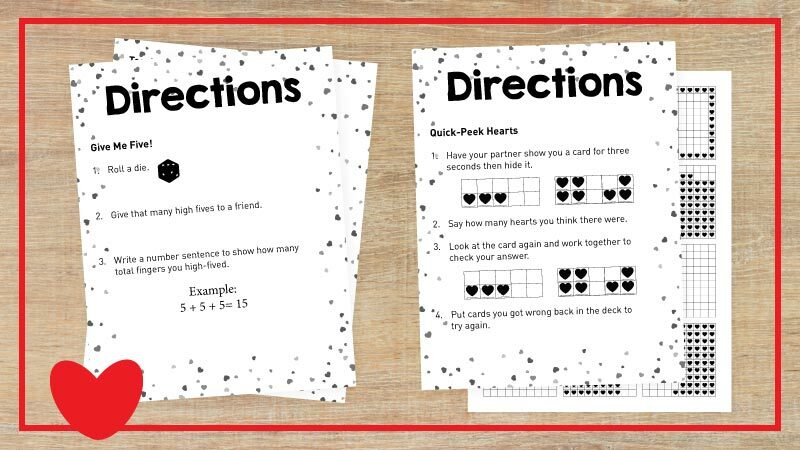 For this activity, students get a quick glimpse of a 10-frame or 100s chart, and have to identify how many hearts are there based on their numeracy skills. Yes! 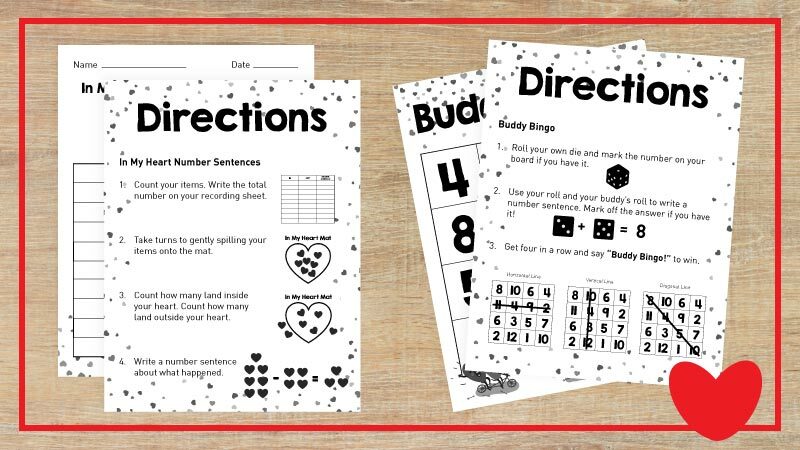 I Want My Valentine’s Day Math & Literacy Centers!